With June gone the way of the Dodo, its full swing into July. This means one thing…..it’s time to get picking. Now, I don’t just mean picking to eat, I mean picking to improve your remaining crop. We’ve all heard of the June drop, but now is the ideal time to start thinning your fruit. Most fruit benefits from the smaller or more crowded ones getting removed. This creates more space for the remaining crop and means they will also grow bigger as the plant in concentrating its energy on fewer fruit. Thinning Apples like this ‘Red Love’, will give the other fruit space to swell and grow bigger. Removing every other gooseberry will allow you to use the smaller ones for a gorgeous zingy jam, leaving the others to ripen to maturity. 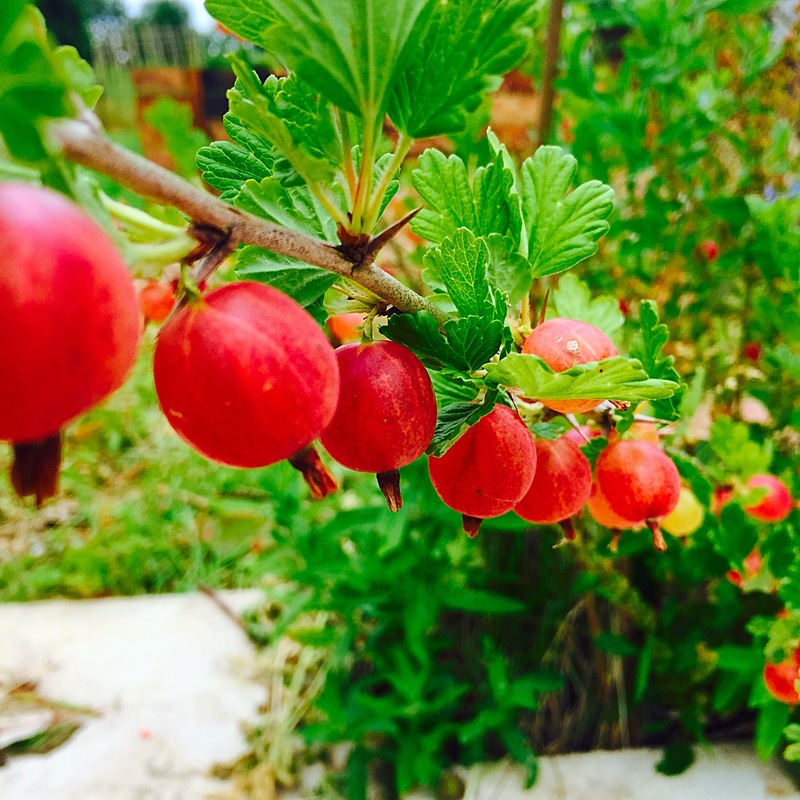 You can use them for a more fruity jam, or why not make a gooseberry compote to serve with mackerel and salad! Keep picking strawberries as they become ready. If the weather gets wetter, they will begin to go mouldy. Mould spreads quickly and can soon affect your crop if you don’t remove the affected fruits. Don’t forget to make Eton mess with some sticky, crunchy meringue and some thick double cream. Perfect to sit outside and stuff your face. After all, you grew it so you might as well enjoy it! Its a good time to pick garlic if the leaves begin to turn yellow and the plant starts to flop. Autumn planted varieties should have swollen and be producing big bulbs by now. 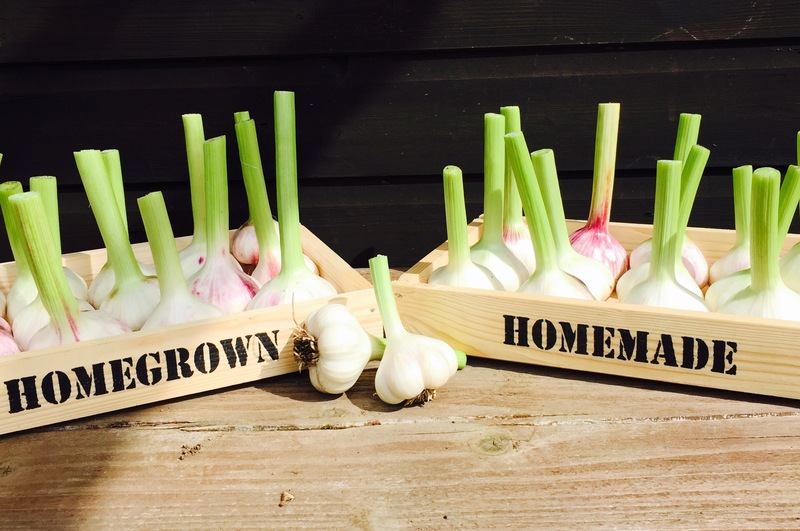 If you find that your garlic is more like an onion and hasn’t split into cloves, its probably because they are spring planted or haven’t had enough cold weather. Garlic needs a long, cold spell to divide into cloves. Try planting them in the autumn so they get a good winter chill this year. Your peas should be starting to swell nicely. Make sure to keep picking so you don’t end up with rock hard bullets! 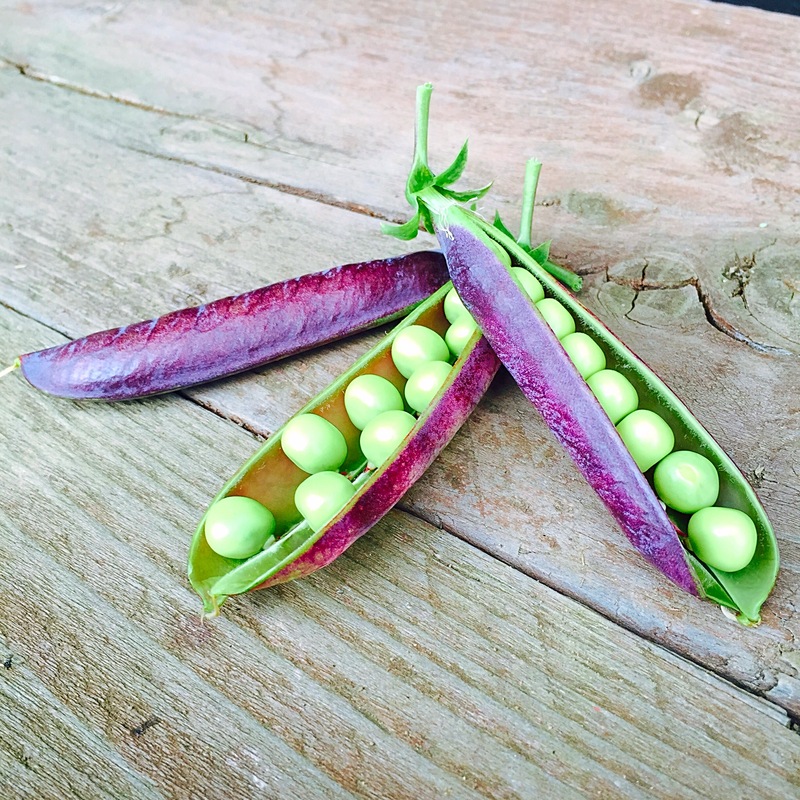 If you find hunting for green pods on a green plant a little time consuming, go for a purple podded pea next year. This one is ‘Mr Bushells Purple Podded’. Pea dips, hummus and salsa are all great ways to use up your peas. 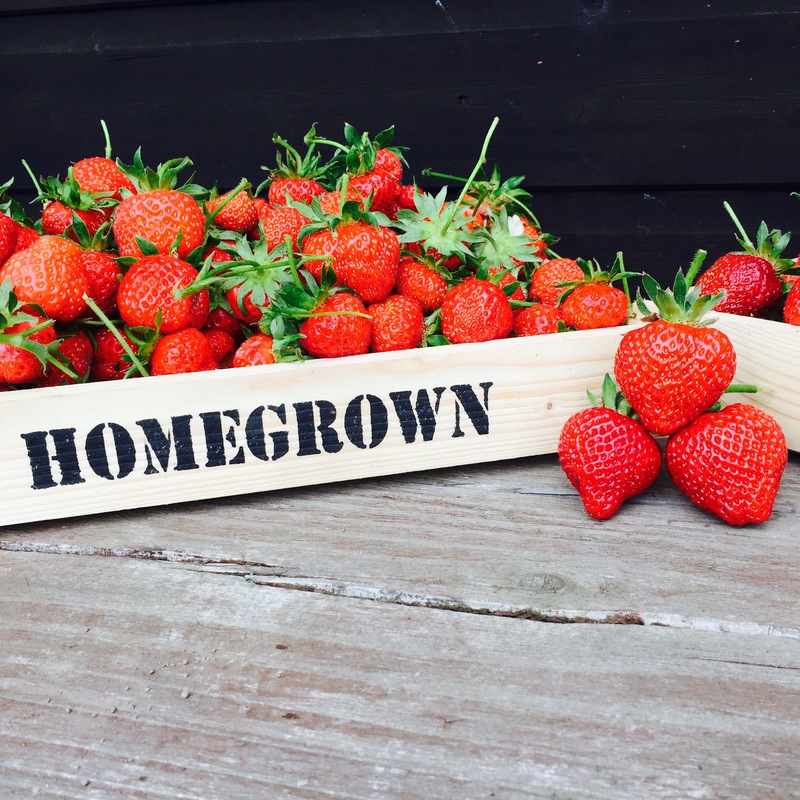 Thats if they make it off the plot to start with…..
Keep on top of picking your fruit. The last thing you want to do, is look after the plants all year, only to find the birds have stripped it of all those shiny orbs of fruitiness! I’m guilty of this with my redcurrants. One day they were just staring to colour up. The next, there was nothing there at all. So, keep the netting ready. 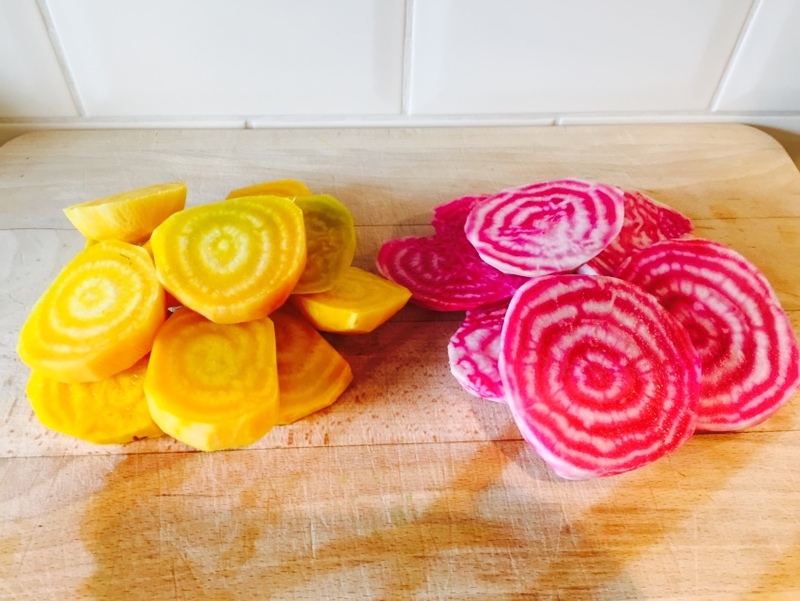 Beetroot can be picked from the size of a golf ball. 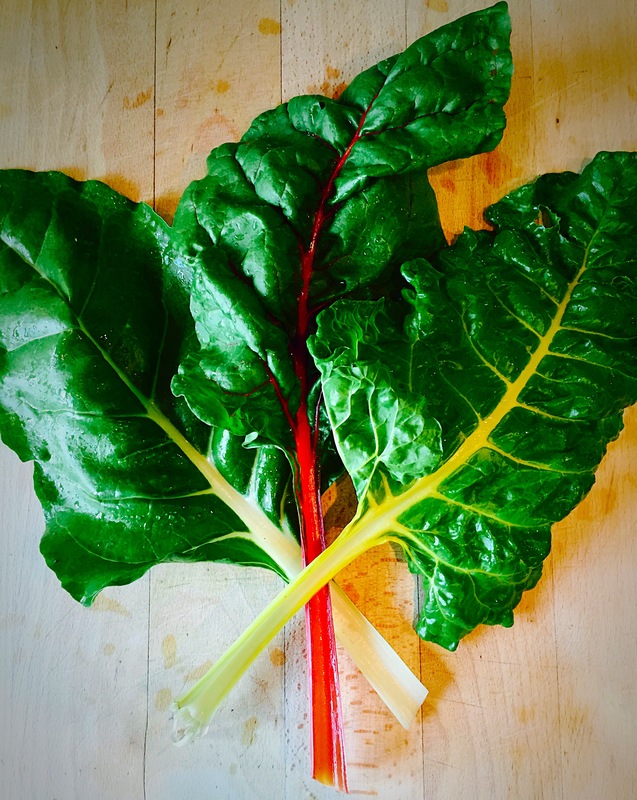 These two varieties, ‘Burpees Golden’ and ‘Chioggia’ make really different and interesting additions to salads and any other dish. Try using the golden one to make a dip. People are shocked that an orange dip tastes of beetroot. Just blitz up with yoghurt, salt and some tahini. It’s not just your fruit and veg that needs picking this time of year. Keep an eye on your roses and other blooms. They need picking or dead heading regularly or they will begin to set seed and stop flowering all together. You should be having vases full of flowers and baskets full of veg at this time of year. Long may it continue! 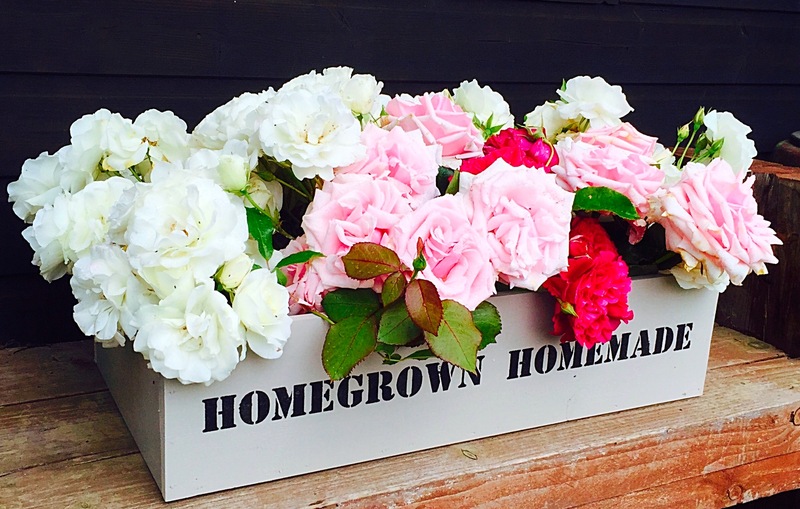 ← Gardeners world, RHS Hampton Court and the odd geranium thrown in!